A commonly asked question in various forums is whether anti-malware software, such as Emsisoft Anti-Malware also protects against viruses. The short answer is: yes. The term “malware” is short for “malicious software”. As computer viruses are undoubtedly malicious, they fall into the category of malware, just as trojans, rootkits or spyware do. In the end, it can be likened to dachshunds and dogs: every virus is malware just as every dachshund is also a dog. But just as every dog is not a dachshund, not every piece of malware is a virus, but rather belongs to a subcategory. In fact, there very few new viruses these days, as the majority of current malware is made up of other virtual parasites. It is unfortunate that many software providers use the terms “virus” and “anti-malware” ambiguously. Some users are led to believe that anti-virus solutions are more effective than those that protect against malware, whereas the latter is actually the generic term. The matter is complicated further by the fact that today, all common anti-virus programs do also protect against other types of malware. What’s more: the term “anti-malware” is sometimes used by software that doesn’t offer comprehensive protection against all threats, but rather specializes only in certain categories or on particularly stubborn malware. In order to correct the issue, these anti-virus programs would need renaming. The term dates back to the origins of computer security in the late 1980s. It was then that the first computer viruses appeared, with the first one to gain major media coverage being Michelangelo in 1992. These “early specimens of malware” were not independent programs, but rather smuggled malicious code into normal applications that then acted as a host to spread them. Hence the term “computer virus” was born. Just as a biological virus needs a certain host cell that it can insert its DNA into in order to spread further, a computer virus also needs a certain program in order to reproduce. This explains why the first protection was named “anti-virus”. Many software vendors never changed their name, as it had become so well known by their customers. They didn’t want to risk losing their brand identity even though many modern anti-virus tools are, as previously mentioned, also complete anti-malware solutions. One look at the description, and you can see what type of virtual parasites a security program protects you against, regardless of whether its labelled anti-virus or anti-malware. What counts is the content, not the name or the packaging. 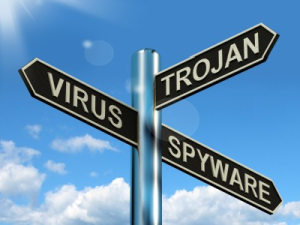 Everyone knows about viruses, and almost everyone is familiar with trojans, spyware or adware. But what about rootkits, ransomware and rogues? Here is a brief introduction to the different types of malware. Keyloggers: Keyloggers secretly record everything you type on your keyboard, which allows attackers to get their hands on your passwords or other important data such as online banking details. Dialers: Dialers are relics from the days when modems or ISDN were the standard way of connecting to the internet. They dialed expensive premium-rates numbers, racking up astronomical telephone bills and causing enormous financial damage to their victims. Dialers are ineffective with ADSL or cable connections, which is why they are mostly considered extinct these days. 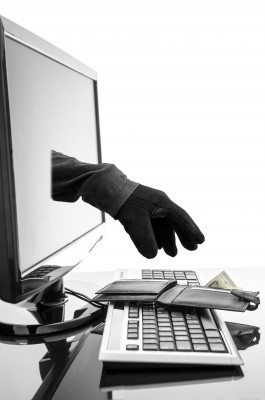 Ransomware: Ransomware” is exactly what it sounds like. Ransomware encrypts the user’s personal data (encryption ransomware) or may even lock the entire PC (lockscreen ransomware). You are asked to pay a “ransom” via an anonymous service in order to unlock your computer or your files. If you are using one of our programs equipped with a malware scanner, such as Emsisoft Anti-Malware or Emsisoft Emergency Kit, you will receive 20,000 to 30,000 new signatures per day. The percentage distribution of malware types keeps shifting on a regular basis; since the invention of computers, one type or another has had its heyday. Viruses were at the peak of their popularity during the 90s, before Trojans such as Sub7 and Netbus and worms such as SQL Slammer, Blaster or Sasser ushered in the new millennium. Dialers are considered more or less extinct today, but 10 to 15 years ago, they were a constant nuisance in the everyday lives of computer users. Over the last year, ransomware has been in vogue; you may remember the most popular examples: BKA and GEMA Trojan. The reference in their names to Trojans refers merely to the means of infection, the actual malware behaved like traditional ransomware. There has been a distinctive trend developing in recent years, with single types of Malware being used in attacks less and less often. Instead, several types of malware are being used in combination, making the classification of malware such as the GEMA Trojan mentioned above, difficult. To attack your PC, either a Trojan, an exploit or a worm is used. This then installs a backdoor that allows the attacker to gain access to your PC where consequently a keylogger, rootkit, spyware or the like will be installed. Once the attacker has complete control over your PC, they are able to capture your passwords and important private data, and use your PC to perform DoS attacks in exchange for payment or to blackmail companies. In this way, a hacker is able to control hundreds or even tens of thousands of computers known as “bots” which form a network known as a “botnet”. Experts estimate that in Germany alone, about 500,000 computers are part of such botnets – without their owners even realizing it. The war on malware hasn’t become any easier during the last 10 years for the providers of security software, with malware authors refining their code and becoming increasingly professional. The result is highly sophisticated malware whose presence is invisible to the user or only noticed when it’s already too late. Therefore, the standard security advice that one commonly finds on websites and forums is dangerously outdated. It is, for instance, simply not enough to avoid suspicious websites or not use an administrator account in order to secure your PC, when malware is also capable of entering your PC through an exploit. Even a weekly scan using a free anti-virus program is of little use once an installed rootkit has anchored itself into your system’s core, hiding its traces. No matter how computer savvy a user is, regularly updated security software with real-time protection should be an essential part of any PC. Emsisoft Anti-Malware protects your PC in three ways. Surf protection prevents you from visiting dangerous websites. The powerful dual-engine scanner detects any malware if it manages to enter your PC, and even currently unknown parasites will be reliably detected by its advanced behavioral analysis. Thus you are also already protected from the malware trends of tomorrow.